Save £££s on your annual electricity bills with solar energy! This is just so you can compare prices from local installers. We only share these with our trusted installers so they can contact you. You have already submitted a price request. Please check your dashboard. Buxton Heating has a proven record for renewable heating installation. Qualified with Worcester Bosch we are experts in Solar Heating running these systems into under floor heating, radiators and hot water cylinders. For the more advanced systems we can utilise low loss headers or heat stores. We have a long list of satisfied customers and feedback from a full range of installations. Buxton Heating supply and install Solar Hot Water. For similar installers in this area please visit the Hindhead solar page. 1. All our installers are MCS certified which is a requirement in order to benefit from the Government’s Feed-in Tariff..
2. 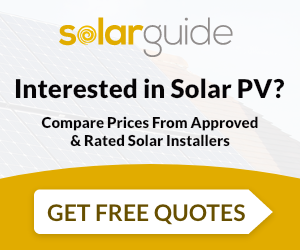 Our feedback system only accepts ratings from customers introduced to companies via Solar Guide. This ensures all reviews are genuine and trustworthy. 3. Unlike many companies we actively monitor our installers based on high standards including minimum levels of feedback and industry required registrations.